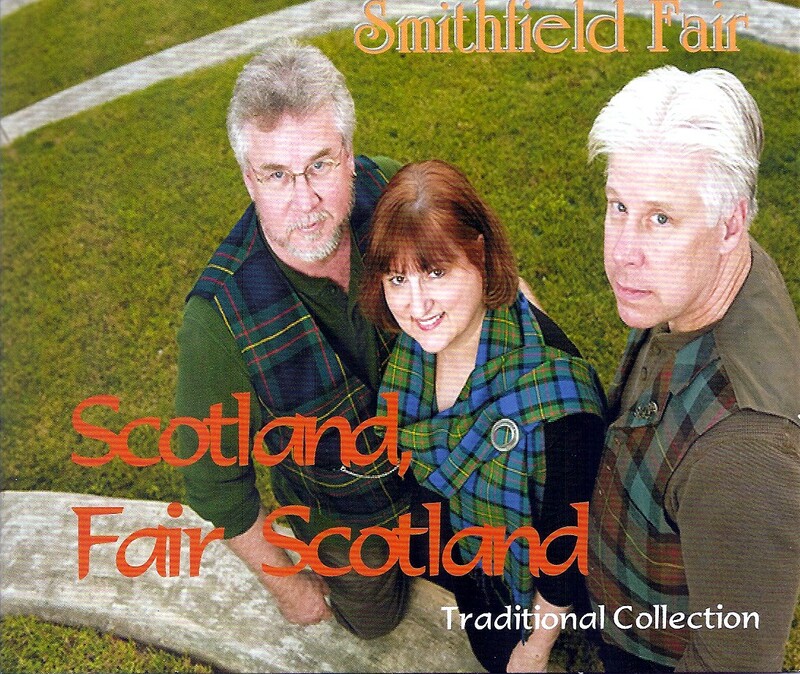 A sparkling and energetic collection of the most-requested and favored Scottish traditional songs in Smithfield Fair’s repertoire. These timeless classics exhibit the strength and timelessness of songwriting traditions in Scotland with songs by Robert Burns, James Hogg, Robert Tannahill, Lady Carolyn Douglas Scott, John Cameron and others, all done in Smithfield Fair’s inimitable approach and style. Also included is Dudley and Jan’s title track, written as a candidate for Scotland’s national anthem. Wild Mountain Thyme, Wha'll Be King But Cherlie?/Cam Ye O’er Frae France, An Coineachan/The Fairy Chase, The Mist Covered Mountains of Home, Dumbarton's Drums, Scotland, Fair Scotland, The Silkie/The Song of the Mermaid, Mingulay Boat Song, Gradh Geal Mo Chridhe, All Around My Hat, Ye Jacobites By Name, My Love Is Like A Red Red Rose, Ae Fond Kiss/O' A' The Airts, Bonnie Banks of Loch Lomond, Glenlogie, The Skye Boat Song. All songs traditional, arranged and performed by Smithfield Fair, except "Scotland, Fair Scotland" written by Jan & Dudley-Brian Smith. & Frang Bladen (bodhran, vocals, percussion). and ‘Bonnie Banks’ arranged by Jan Smith. from Scattered Seeds of Scotland, Highland Call, Cairdeas and Jacobites By Name.